A properly built arrow is one that is possesses the correct dynamic spine for the bow and also a quality fletch job. An improper fletching job can leave an archer with an arrow or two that just doesn’t group well. What’s the best style fletching to install? Good question. That’s really up to personal preference. Every archer has a preference when it comes to what type of fletching they are going to shoot. Some prefer a left offset at 2° while some may prefer a 4° right helical. The wide variety of fletching styles one can install really depends on what kind of fletching jig they have. In the past, an arrow builder would have had to buy a clamp for every fletching variation imaginable in order to cover all options. That is of course until now. 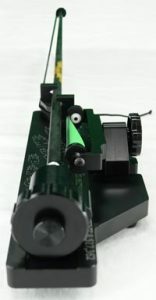 In this review we are going to look at a fletching jig that can install any fletching style imaginable right out of the box, the Vane Master Pro by Last Chance Archery. Here are the components of the Vane Master Pro. A ton of quality and precision is evident in the build of the Vane Master Pro. Machined from a solid bar of aluminum, the Vane Master Pro base is rock solid and heavy enough so that it doesn’t move all over the place while fletching an arrow. The Base features a recessed cutout for the adjustable nock receiver, two slide pins for the vane clamp, an arrow holder, and an arrow tension cord when applies consistent arrow pressure on the nock receiver. The nock receiver is the component that receives the arrow’s nock. It works by rotating until a precision recessed ball bearing/detent spring combination snaps into the predrilled hole in the dial. Last Chance Archery offers 3 varieties of nock dials: 3 fletch (120°), 4 fletch (90°), and 4 fletch (75°/105°). For glue on nocks, you can also set the dial for proper vane orientation. The positioning of the nock receiver is adjustable to offer complete control on how far the nock is from the fletchings. Simply loosen the set screw below the base and slide the nock receiver to the desired distance. The vane clamp of the Vane Master Pro is what makes this jig special. It has 11 total settings ranging from 5° left helical all the way to 5° right helical. 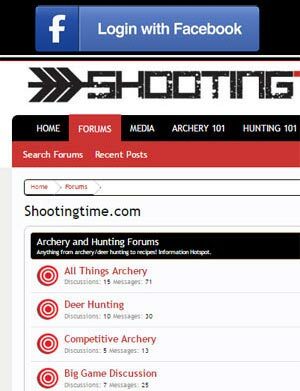 It allows you to install any fletching style imaginable on an arrow size available. The vane clamp of the Vane Master Pro features two clamp wires that are coated with a nonstick sleeve. These wires, working in combination with the adjustable rotating discs, allow you to customize how the fletching seats against the arrow. Load an arrow into the arrow holder, attach the tension cord cap to the end of the arrow, and seat the arrow’s nock into the nock receiver. With the fletching in the vane clamp, slide it against the arrow. Now adjust the nock receiver to set your preferred nock to vane distance. Adjust the vane clamp discs so the vane is properly seated against the arrow shaft. Tighten the (2) disc set screws. Remove the vane clamp and apply your glue. Slide the vane clamp back onto the slide pins and press the vane against the arrow shaft. After waiting the recommended wait time, remove the vane clamp. Repeat for the remaining fletchings. We think the Vane Master Pro is a well thought out, brilliantly designed fletching jig. The fact that it can lay any style fletching could make it the only jig that an arrow builder needs. It’s pricing, around $300, is middle of the road, but the fact that you don’t need to purchase any additional clamps makes it a great value. To top it off, it comes with a great carrying case and there are many videos available to help you learn how to use the jig. remember the settings that worked for you or set the discs to a predetermined orientation. In conclusion, we like this jig. Once you master fine tuning the vane clamp, this jig is the only one you will ever need. It’s a solid build and should last a lifetime. 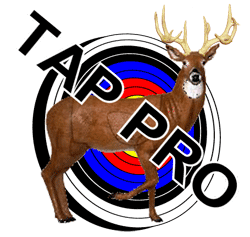 It comes from a reputable company, is made in America, and is the choice of some of the best archers in the world. For more information on the Vane Master Pro by Last Chance Archery, visit them at http://lastchancearchery.com/. Once you master setting the vane clamp of this jig, it could be the only jig you ever need.